Are you tired of admiring the beautiful dresses, handbags, sunglasses of the season through a window in the mall? 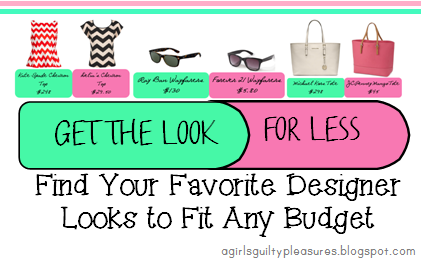 Get the look you want with the price tag you want! The beautiful Ray-Bans can be an investment--a great investment for some. But for simple sunglasses that will most likely end up in the bottom of your bag, go with these inexpensive Forever 21 Wayfarers for a small fraction of the price. You can buy a pair for every room in your house before you add up to the price of the other! I will admit, I too gaze in the windows of the Michael Kors store every now and again, but going in is just depressing! Why spend so much when you can get the same look for an affordable price. 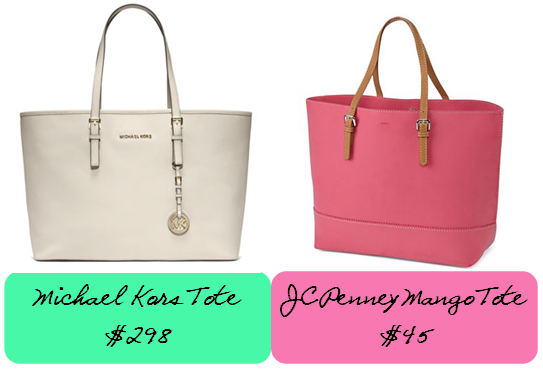 This JCPenney tote is roomier and a great alternative for those of us on a budget! 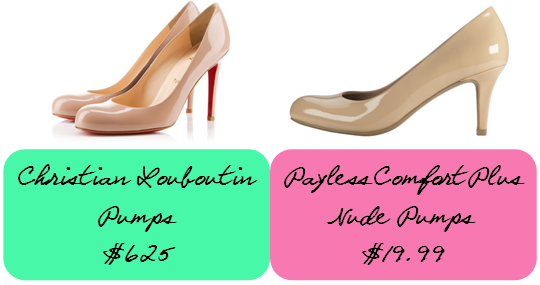 While the red underside of the Christian Louboutin pump is alluring as a symbol of status, the Payless counterpart at $600 less is a budget friendly option. These are also the most comfortable pair of pumps I have ever owned and they come in multiple colors! 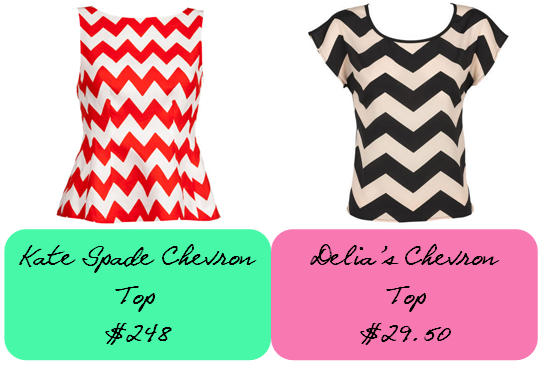 Chevron is everywhere these days, so why spend so much when you can get an affordable option? Both of these tops are adorable, but one tends to stick out in my realm of possible options based on the price tag alone. 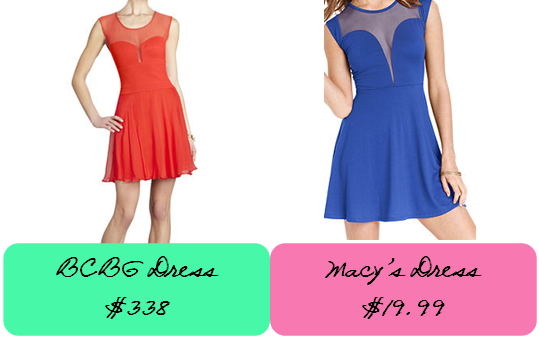 When comparing these two dresses you can find few differences besides $300! Both adorable dresses are fun and colorful and perfect for a night on the town. Check out all of these looks and enjoy saving money on the summer's hottest looks! I can always come to your site for Great shopping buys and I thank you.